Eventon events archive page (../events) is auto generated when the plugin is installed. You can easily customize this page. First off in your website theme make sure there is a page template you want to use for this page. If you want to use a page template that already exists – no problem. Select the events page from drop down of the all pages in your site. This will be the page you want to use for /events page. What ever content you write on this page will show on /events page afterwards. The idea behind is, after you select this page, you can go to Pages >All Pages and click on this page and type whatever content you want and that will show on the events archive page. Next select the page template you want to use from the drop down of available templates in your theme. In a similar way as mention above if you want to create a fully customization template for this you can do so and upload that to your theme directory and then select that template (in similar way as above) to use for events page. If you select events (archive) page template to be default eventon template, but the layout is not what you desire please follow below steps to correct the eventon template. NOTE: You will need experience using a FTP client like filezilla. 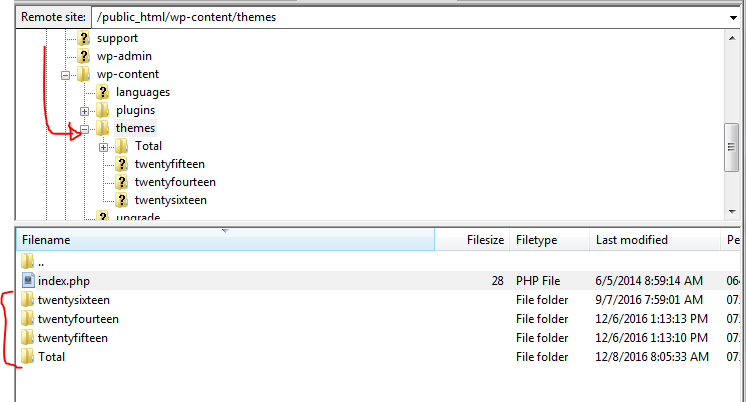 Using FTP client navigate to your theme folder and find the template you want to use for eventON events page template. Usually this is the page.php file. Copy this file into the eventon folder created earlier. Copy the code from page.php or similar file on step 1 and paste it in archive-ajde_events.php file above get_header(); code in archive-ajde_events.php file. That should do the trick refresh page and clear cache to see results.